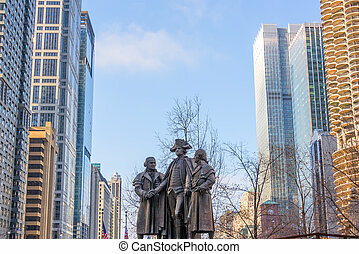 Historic chicago skyscrapers. 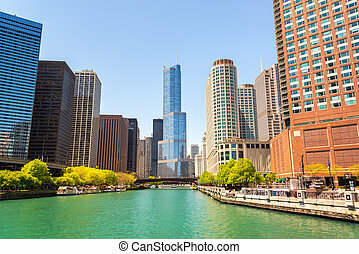 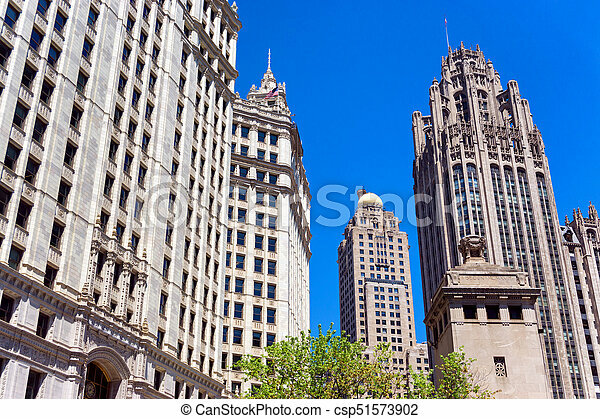 Beautiful blue sky and historic skyscrapers in downtown chicago. 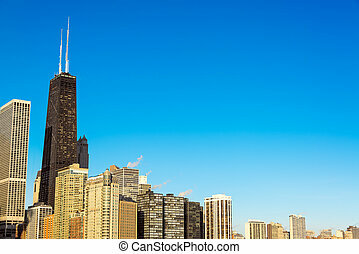 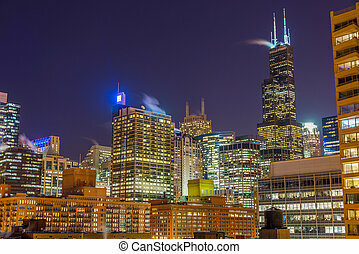 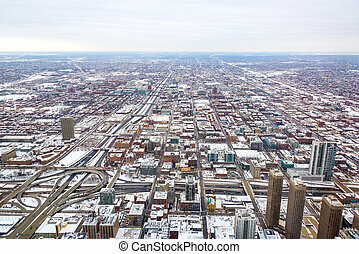 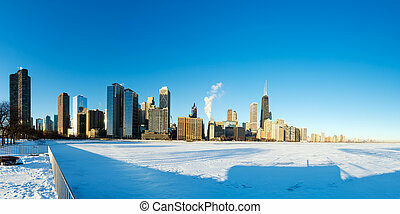 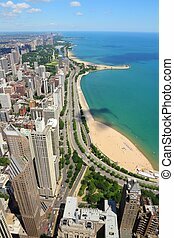 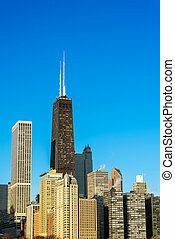 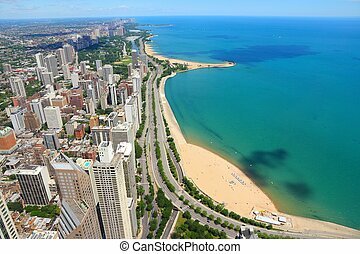 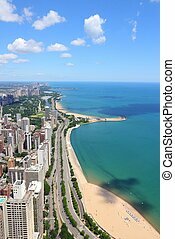 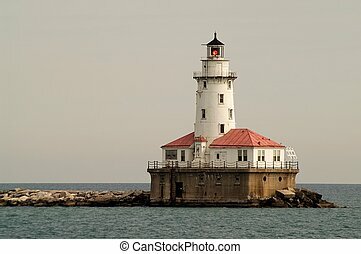 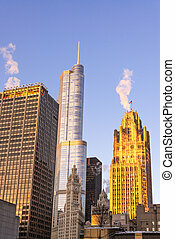 Chicago, Illinois in the United States. 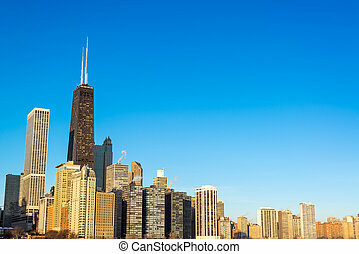 City skyline with Lake Michigan and Gold Coast historic district. 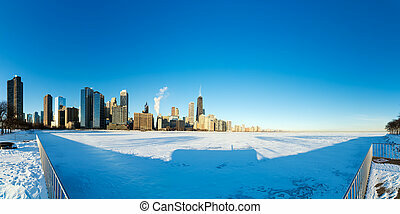 Chicago, Illinois in the United States. 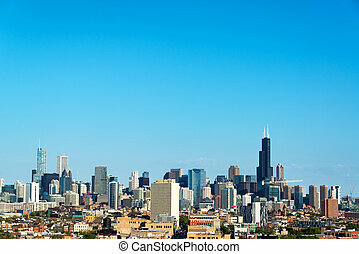 City skyline with Lake Michigan and Gold Coast historic district, North Side and Lincoln Park. 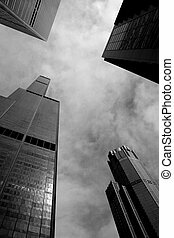 Looking up at Chicago architecture including the Sears Tower. 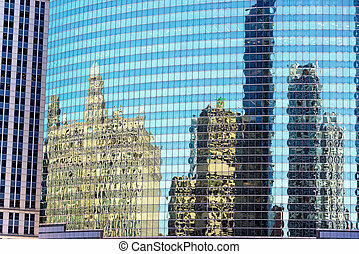 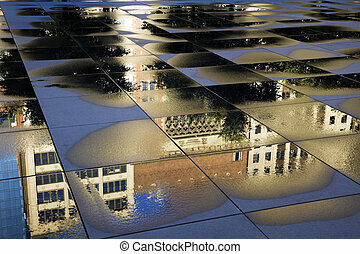 Reflection of historic building in Chicago - Michigan Avenue. 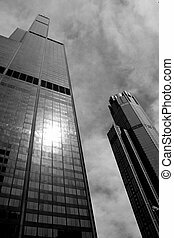 Downtown Chicago including the Water Tower and a modern skyscraper. 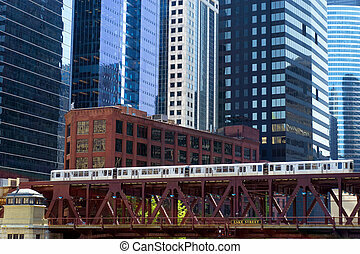 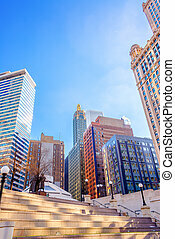 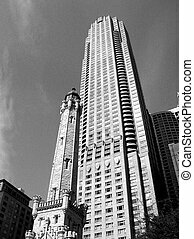 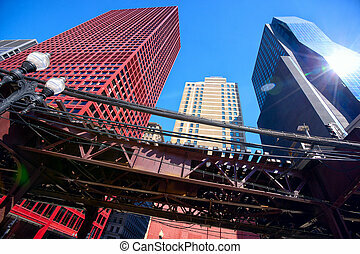 Chicago Loop is one of 77 officially designated community areas located in the City of Chicago, Illinois, United States. 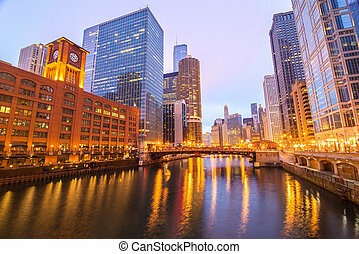 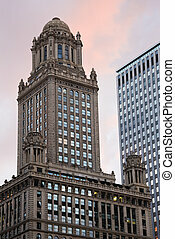 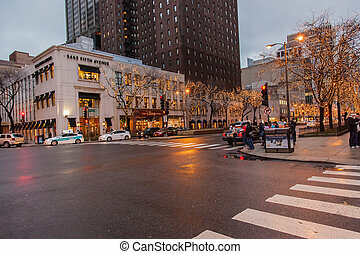 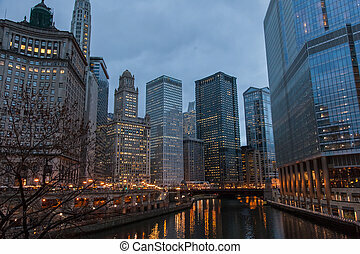 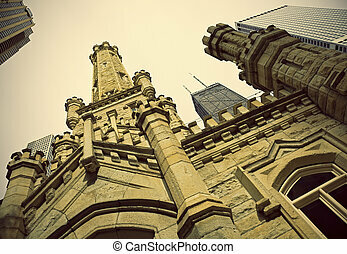 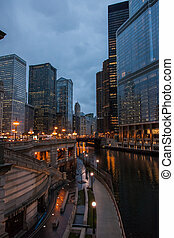 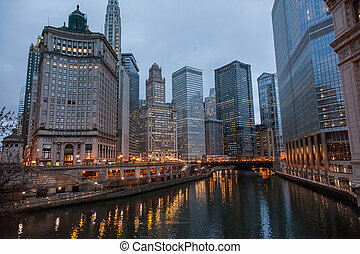 It is the historic commercial center of Downtown Chicago.